Classify the planets as rocky planets or gas giants. Observe the scale of the solar system. 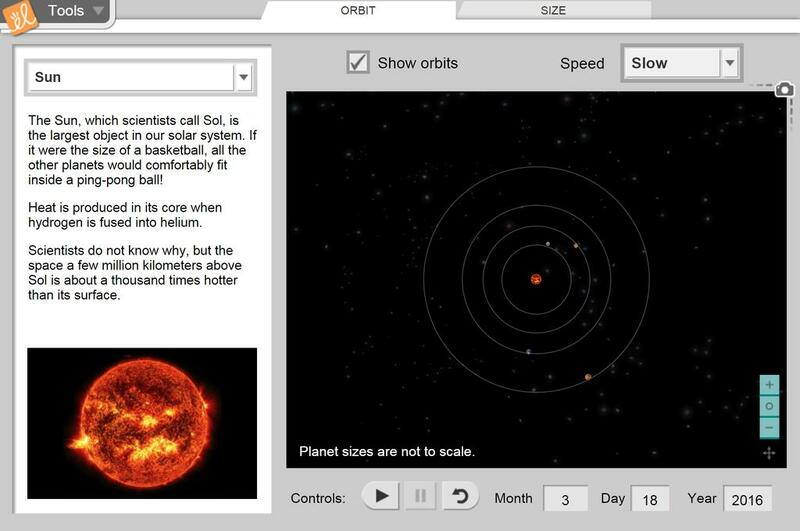 Describe the shape of planetary orbits. Measure each planet's period of revolution. Relate the presence of an atmosphere to the size of a planet. My students love this activity, can also be used for review. A grade 9 class can benefit from this gizmo too. This lesson will be used with a fourth grade class for the VISTA program for a teacher in York County School system. It is great! Terrific information about the planets. Great way for the students to appreciate the scale of the solar system.